Hire the top 3% of freelance product managers. Toptal is a marketplace for top product managers. Top companies and start-ups hire product management experts from Toptal for their mission-critical product builds. This guide outlines every consideration when hiring a product manager. It provides an in-depth overview of the skill set, qualifications, and methodologies that a professional product manager should be familiar with. Connie has 15 yrs of product management experience spanning two-sided marketplaces, enterprise software, consumer apps, health tech, energy, and semiconductor. She was CPO at Khosla-funded health company Carrot and the head of product for Atlassian's Marketplace. She also shipped at Microsoft, SunPower, Cypress, ImpactIQ, and Sourcemap.com. Connie is a storyteller who can help you craft your vision and help your team deliver on it. Casey is a business-minded manager and technology-focused strategist transforming companies and enabling users through the use of IT-based solutions. Having over seven years of experience with process improvement, ERP system development and deployment, and successful project management at insurance, finance, healthcare, and aerospace companies consummates into a well-rounded and tech-savvy business perspective. There are various different inflection points in a business lifetime that drive the need to hire product management (PDM) resources. Whether it’s starting a business, managing growth, launching a new product, or accelerating the growth of a mature business, the product manager role can help accelerate each of these situations. This guide offers some key insights into the important skills and experiences that a manager should consider when hiring product managers. If your company is in the early stages of development, a product manager is going to be one of the first resources needed in order to start formalizing a product. You may need support in defining the business opportunity, creating the business plan, and defining the resources required in order to start creating a solution. This where PDMs are extremely important; they can alleviate the load of the founding team while also providing a clear, impartial analysis of additional business opportunities. During the early phases, the founding team needs to focus on building their business and often cannot invest the full-time effort needed to drive a product to release. Strong product managers will be able to establish the frameworks, optimize communications, and course correct quickly while creating the organization for long-term success. In startup environments, a detailed understanding of the back-end processes can help establish the required frameworks in order to accelerate order processing and revenue recognition. Further, they will be people leaders that can mentor and manage more junior resources. For a mid-sized company that is looking to grow or launch new products, you should look for product manager skills that demonstrate enough technical knowledge to partner with the engineers and architects and will also be skilled in converting complex technological solutions into business value for customers. They should demonstrate knowledge of the development and delivery of the product and service. They should be comfortable with being the focal point for roadmap decisions, strategy, and vision for the products and services. Explore their experience or confidence with startup situations along with their willingness to roll up their sleeves. The product manager role defines taking a concept and turning it into reality. They are responsible for the success of their product(s). The role spans every stakeholder in the organization from the client who will purchase or use it to the entire corporate organization. In larger enterprises, a PDM will need to work with many teams to weave their product or service into the services they provide. In discussions with candidates, ask about their experience in dealing with support, finance, and operations. Consider asking about the revenue flow for a cloud or subscription-based service. Look for the confirmations, the commissions, and settlement challenges. Explore their go-to-market expertise working with sales and marketing on sales enablement. Their comfort with explaining how they dealt with the internal teams will help with understanding how well they can drive through a complex bureaucracy that often exists in a larger enterprise. Listen for the data-driven analytics. 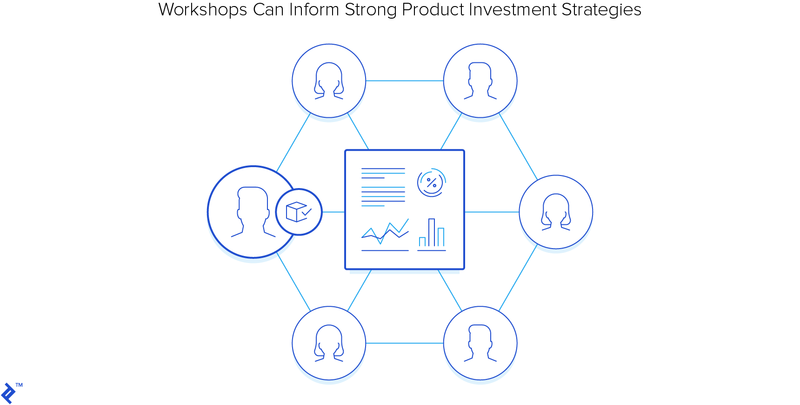 With the experience and skills of having made these decisions before, a professional product manager will be able to navigate the ongoing prioritization and roadmap issues to focus the product investments in the areas that will produce the best return on investment. Data will drive key decisions around market positioning, competitive analysis, and client needs. This will support the ideation, validation and design efforts. Data will support the rapid development of the proof of concepts, pilots and minimum viable product (MVP) phases. And, of course, as the product moves into the market, a professional PDM will be focused on efforts to both monetize the existing client base and create new client opportunities. In reviewing product manager qualifications, explore scenarios where the candidate has used data to drive critical decisions. Uniquely skilled individuals, product managers are intuitive, data-driven, powerful communicators that can see the day-to-day and manage the long-term vision for their product. PDMs are measured by their success. Ask the candidate to identify their historical successes. Ask them how they measured success and what the highlights of that role were. An ideal candidate will have the experience in creating short and long-term roadmaps and a vision for where their products and services could go. By hiring a PDM through Toptal, you can rest assured that, at the conclusion of your engagement, you will be in a place to confidently execute on your long-term product roadmap. Expert product managers need to be experienced professional managers. They are the key decision-makers; their decisions must be credible and understood by all stakeholders. They are the leader for their product, motivating and inspiring the entire organization to accomplish the tasks required to get a product or service to market. Intellectual property rights (IPR) protections: These include trademarks and copyrights, patents, and inbound/outbound licensing rights. An experienced candidate will be able to explain the importance of IPR rights. Contractual obligations: These include inbound software (elements within your product), obligations for reporting usage, flow through rights to any outbound partners (OEMs, resellers, wholesalers, channel partners), financial reconciliation issues, support, and flow-through IPR protections. This will also include direct and indirect sales contracts. A strong PDM will be evaluating all pricing, sales costs, and risks with respect to their gross margins. Explore how comfortable your candidate is with managing and defending contracting, pricing, and discounting terms. Security and government compliances: These include issues that can form a material breach if not identified and high corporate risk. Some examples would include the General Data Protection Regulation (GDPR) for selling into the European Union (EU). Personally identifiable information (PII) protections must be woven into the architecture of the products and services being delivered. Contracts and agreements must outline the usage of PII data. Ask your candidates about their experience with PII data. Profit and loss (P&L): The budget and expected revenues associated with the product, including gross margins (GM), costs of goods sold (COGS), and operating costs of goods sold (OCOGS). OCOGS is measured often for Cloud or SaaS services, where the costs of sales and marketing are not included. Go-to-market (GTM) strategy: The business plan, including the approach for how the product or service would be sold. It will include marketing initiatives and sales models (direct, online, channel, partners) along with the pricing strategies, compensation plans, and operating models. Market and competitive strategies: The positioning of the product or services with respect to the current and future market opportunities, positioning and customer perception. A company’s position on the Gartner Magic Quadrant might be one example of a market KPI. Positioning of the company in the total addressable market (TAM) is another. Sales enablement: The planning, training, and ongoing communications with sales and marketing to drive new sales opportunities. For some PDMs, a weekly major account strategy review helps to keep major opportunities on track. This will also include supporting sales with request for proposal (RFP) and request for quotations (RFQ) that large enterprise customers, government agencies, and channel partners will use to procure products and services. A product manager should be an expert in managing the engineering methodologies and processes. In an Agile development environment, this means performing the planning and prioritization of work, defined in sprints. Explore how your candidates view meetings with their teams. In an Agile model, expect them to discuss the daily and weekly planning meetings such as daily standups, sprint planning, wireframe reviews, architectural reviews, security reviews, sprint retrospectives, and release planning. PDMs will work with engineering to define the tools and be able to apply their knowledge to use these tools to affect change in their projects. Some of the popular tools project managers and product managers may consider include GitHub, Mantis, Jenkins, Jira, Basecamp, Redmine, Asana, or Trello. Find out what platforms they have used in the past. A professional product manager will have an intuitive sense to make the daily prioritization decisions. Ask about decision criteria in prioritizing sprints. Many PDMs will respond with a stack ranking methodology of some type. Here are some ways to think about prioritization. Will delaying this feature or function means losing a customer? …or will it enable this other investment to increase demand? Likewise, if only 20% of customers need it, is that enough to prioritize a function over something that 80% of customers will pay for? When speaking with a candidate, explore how they manage the prioritization of work. A strong candidate will always look for the short- and long-term benefits, making data-driven decisions for the good of the company. They will not be swayed by the “person that’s yelling the loudest” to avoid controversy but will make strong business decisions. Professional product managers take ownership of the architecture, infrastructure, and operating environments associated with the product or services. With a goal of continuous improvement, they will have the skills to manage request for proposals (RFPs) and request for quotations (RFQs) to suppliers when looking for outsourcing partners or custom off the shelf solutions. Ask how they’ve managed the “build versus buy” decisions. Product managers should hold onboarding and management reviews including sessions to review the customer journey, fund processing, commissions and settlement, provisioning, and tracking processes. These sessions will typically involve order management, finance, customer success, and possibly the deal desk if one exists. Explore some of the onboarding challenges that the PDM has experienced. When designing a product or service where the technology involved is complex and requires specific technical knowledge, consider hiring a technical product manager. Having a technical PDM facilitates communications with the technical team members and helps them feel much more understood when it comes to evaluating the challenges they are tackling. A technical PDM can help to prioritize tasks by knowing how much business value the tasks bring and what technical problems the team might encounter. For example, if your technical PDM has a good understanding of machine learning, it will be easier to judge the scope of a new predictive analytics initiative better than a PDM without such knowledge. If it is critical that your PDM has expertise in certain areas, they should be able to explain their knowledge. As a hiring manager, you should expect a product management leader to be able to lead a data-gathering session involving many members of the organization. The result should help define the right times to make adjustments and prioritize the investments. Ask your candidates if they have had product management experience working through any of these types of scenarios. An expert product manager will quickly be able to identify risks and opportunities while engaging the entire company in the right decisions before they become escalations. They will help find the fit in the industry, appropriately price the offering, and work with marketing to define differentiable value to drive a unique and valued position with clients. In discussing the approaches to solve similar case studies, look for the confidence in the approach and experience in completing the research to get data-driven insights. How did they deal with dissent? How do they motivate others to take action? How do they inspire creativity? How have they celebrated success? How have they dealt with failure? The responses to these questions should demonstrate strong leadership skills. A good candidate should be familiar with the tools to build credibility, respect, and inspiration in others to succeed. Professional product management leaders don’t have to be experts in every technology—they do have to be experts in managing, inspiring, and motivating. They learn fast. It’s their nature, so while some companies are looking for that in-depth knowledge of a certain technology in a PDM, it is really all the developers, engineers, and designers that need to be the experts. Listen for their skills in generating excitement. Did they sound energized by the challenges of managing conflict, coordinating disparate teams to a common goal? Executives may differ on the key qualifications that make a perfect product manager, and that often comes from the company culture and approach to their business. Companies that are working on highly complex technology designs may want to ensure that their product managers are highly skilled in their specific technologies. If you lean toward having strong technical skills, you may want to look for individuals that emerge from an engineering background and are focused on developing perfect technology. Other companies may feel that product management is a highly interactive, communicative, and intuitive role, and they will lean toward finding leadership and marketing characteristics coming from a business or marketing background. Their focus will be on creating the perfect business. Both of those models work with strong leaders that can make data-driven intelligent decisions and provide vision and direction to the team. The ideal candidate, of course, is the rare gem that has a deep enough technology base with the strength, communications skills, inspiration, and leadership skills to translate complex technology into powerful business models for clients. 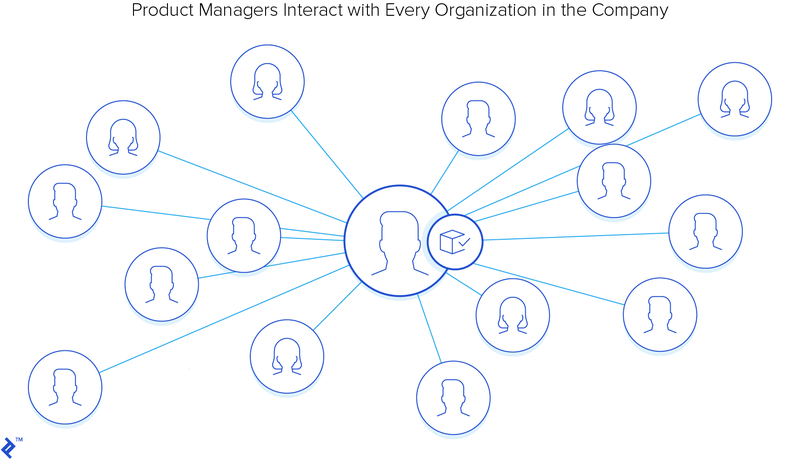 Companies that are delivering multiple products or services will probably already have at least one product manager on the team. 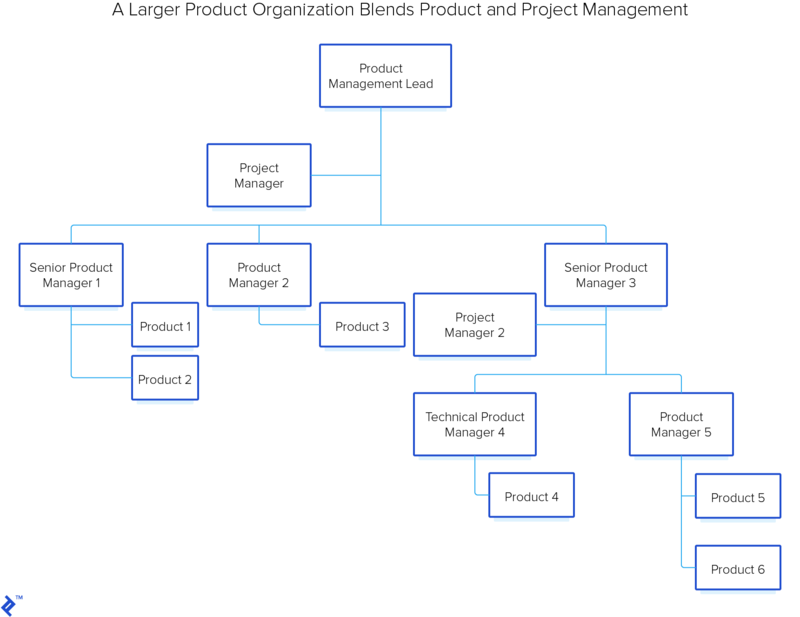 This section discusses how the product organization could be structured. In a rapidly growing environment, consider starting with your end-organization in mind and plan the additional resources. Ask your candidates about their experience in moving around an organization or taking on additional products. If there are multiple products and services, then consider also engaging a project manager. Project managers can help with managing many small tasks at once, focused on the timely delivery of a product. For companies with multiple products, the opportunity would be to find a blend of technical and marketing-focused product managers where they can complement each other’s skills. Consider Technical PDMs who will be focused on the technical aspects of design and development. Marketing-leaning PDMs will focus on creating the business models, business plans, differentiable value, managing MVPs and, potentially working with a project manager, will establish the infrastructure to fulfill orders, manage and track usage, drive customer relationships with sales and marketing, and gather useful data for future roadmaps. The product manager role is often organized according to the volume of work and the product family and organized by the technical and leadership requirements. For larger teams with multiple products, it’s going to be important to bring in product management leaders. There is inevitable contention with engineering resources and roadmap planning, and a PDM lead will help negotiate and establish the investment priorities for the organization. Further, they will be able to keep a cohesive product strategy in place crossing multiple products. Consider the work to be done. 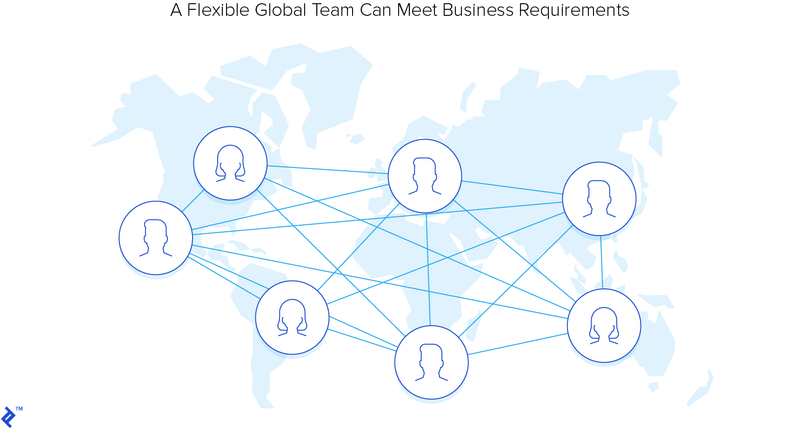 Will it require a full-time local product manager or can a part-time remote PDM who is an expert in their fields help manage single products effectively, even if they are on the other side of the world? While it is essential to have a PDM for every product, a PDM can usually manage two or three products depending on the complexity and stage in the lifecycle. For smaller projects, a part-time PDM allocating a set number of hours a week is also a possibility in an outsourced model. Modern communication tools facilitate effective communications with the PDM on a regular basis. This provides a lot of flexibility when looking for world-class talent and are dealing with budgetary constraints. You have a challenge with one of your products. It’s an in-bound OEM solution from another vendor that complemented one of your other products. The product was never really all that successful, and you only have a dozen customers. You are nine months away from a contract renewal with the original manufacturer, and it’s going to cost $250 thousand to renew for another year. Your revenues from re-selling the software are only $127 thousand annually. If you are in the situation similar to this you need to find a strong product manager who can manage the end of life process for this software, or who will find an opportunity to invest in the marketing and sales efforts to get back into the black. They will need to coordinate with the “other product” team to find an alternative solution for those 12 customers or drive new sales. In this scenario, they will need to deal with sales (and commissions/settlement), with the 12 customers directly, with new software vendors, or renegotiate with the existing software vendor. End-of-life can be controversial. Ask if your candidate has ever dealt with an end-of-life situation and see what experience they can bring with that knowledge to your particular problem. A virtual assistant help-desk company, needs help writing their business plan to map out the next five years of major growth initiatives. They have limited bandwidth and are struggling with how to prioritize between a set of potential initiatives—adding voice-enabled Amazon extensions to their collaboration platform, expanding to new geographies, or aggressively renegotiating contracts with key suppliers. If they respond with these elements, or similar ones, you will know if they have the experience in creating a bottom-line financial and strategic direction and prioritizing the activities in a business plan. A startup is looking for a product manager who could take over a product team of front-end developers working on the look and feel for their platform. Every iteration needs to be presented and approved by the stakeholders at the company. In this situation, it’s best to look for a technical product manager with Agile development experience running Scrum-based projects with a strong understanding of user experience (UX) design. A good test would be to provide the PDM with a vague expectation of what you want the project to do and get them to talk you through the process of what they would do. A conversation about how they may develop requirements would provide insight. Do they put the customer first? Do they have their UX designers go into the field and get an in-depth understanding of the customer journey? Do they start with what they have and go directly to a “clean up” process without validating it with anyone? A good product manager truly understands the value of the UX. Explore how your candidate will validate their assumptions relating to the user experience. While underlying technology, algorithms and complex workflows might form the core value of a solution, if the user interface (UI) is cumbersome, then it’s not going to succeed. A solid investment in talking directly with users will pay off with customer retention and word of mouth competitive value. Explore their Agile experience and the sprint process by giving them a list of requirements and asking them to talk through validation and prioritization. Another test would be to assume that the team is nearing the end of a sprint with outstanding stories and ask them to explain their process for what they do next, how they handle stakeholders, and how they plan the next sprint. A legal services firm has created some debugging tools for their remote users. With some initial success, the demand for more functionality is growing. They want to manage their growth from a team of two developers into a larger full-time team; however, for that, they need to start using product management tools and establish a set of frameworks they will use for the remainder of their project. In this situation, look for a product manager who has had startup experience and is comfortable with rolling up their sleeves. This environment demands continuous improvement. As such, an Agile approach will create a highly communicative environment needed to move things forward quickly in a project that has a large amount of change and uncertainty. At a regional telecom company, there are three developers that have created a logging solution is a great help for the company in solving connectivity problems; however, they are not sure where they should take this project next. The executive team is not sure if this is a worthwhile investment. So far, the features have been dictated by the technical feature list compiled by the team, but now the team members and their managers have realized they need to either formalize their product or drop it. Look for the skills that a candidate might have that will match the current theme and goal of the project. There is a blend of business management and strategy required along with technical savvy, in order to make a go or no-go decision for the continuation of the investment. A business plan is required to explore whether there is real value in the solution as is, or if there is potential for expanded value to the company. The product manager will need to create a resource plan and budget along with the ROI models to justify the continued investment. In these situations, there are scenarios that can be drawn, e.g., “If we invest X, then we’ll get Y under these assumptions.” A product manager with strong analytical skills will likely create three scenarios—base, middle, and best-case scenarios of investment required and the ROI the result. From that base, they can work with the executive team to inform a decision that meets the corporate strategies. When thinking about how to hire a product manager, look for a product manager that would be a good match for a project, identifying the core problems to solve. This may dictate the larger set of skills and requirements for a product manager. Explore their technical skills to ensure their credibility with the engineering teams. Evaluate their communications skills to quickly get a concept across with clarity. Try to discern their experience in managing people, directly and indirectly, to meet goals. Have they demonstrated tenacity in meeting goals, and do you believe that they are creative enough to find solutions where the obvious answers might not be possible? Some products might need a product manager with a lot of business experience, some will require a specific type of technical acuity and an ability to work well in the enterprise setting. Can they relate the investment on the product side, with the P&L demands of the company? Did they relate “success” in business terms (new revenues, new customers, reduced costs)? Toptal has a complete suite of product managers of all levels specializing in successfully bringing products and services to market. Toptal PDM experts span industries and go-to-market strategies with deep experience from the business side, through to the complexity of creating value with a leading edge and emerging technologies. The Toptal model enables clients to engage quickly with innovators who can solve complex problems. Whether it’s for a consultative role to drive a business plan, create new pricing and selling models, redesign or recover from a business challenge, or jump in and drive product management success, Toptal’s PDM professionals are ready to assist. Toptal hires the top 3% of applicants into our talent team. Our business professionals understand your needs and will recommend a few uniquely qualified candidates that fit what you are looking for. A quick conversation will help you choose the best candidate and they can be working with you in as little as 24 hours. Our confidence in the quality of our talent is backed by a trial period with a money-back guarantee. See also: Toptal’s growing, community-driven list of essential Product Management interview questions.